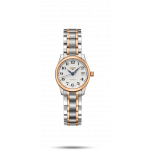 Longines has been based at Saint-Imier, Switzerland, since 1832. Its watchmaking expertise reflects a strong devotion to tradition, elegance and performance. It has generations of experience as the official timekeeper at world championships and as a partner of international sports federations. Longines is a member of The Swatch Group S.A., the world’s leading manufacturer of horological products. Longines are the official timekeepers of many sports including equestrian sports, horse racing, gymnastics and tennis. From the beautiful Dolce Vita collection to the La Grande Classique collection, the range has something to suit all. 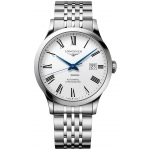 A selection from the Longines range is available in our Online Shop with a further selection in our stores in Crewe and Newcastle. 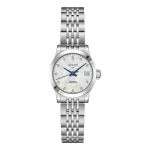 If you cant see the specific Longines piece please contact us and we will be happy to find it for you.